Care homes exist across the United Kingdom in order to help the elderly live as active lives as they can manage while at the same time receiving as much care as they need. Care homes can be either public or private and deliver a wide array of programmes and support. Choosing the right residential care home is often seen as a matter of personal preference, but in reality there are many factors that may influence the decision. Need, cost, location, services and comfort are just a few of the factors that come into play when choosing the right nursing home for the elderly. An elderly individual's needs should be one of the first factors taken into consideration when choosing the right care home. To begin with, contact local authorities and ask them to carry out a needs assessment for the potential residential care home candidate. During such an assessment the professionals involved will tally up how much care is needed, what the individual involved prefers and if compromises can be made. For example, a recommendation may be made that support be provided in the individual's own home. 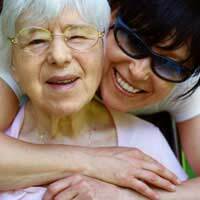 If it is advised that an individual move to a care home, those who need nursing help may be recommended for a residential care home while those who do not may be recommended for a nursing home. The cost of some residential care homes can be as high as £700 or more per week in parts of the United Kingdom and depending upon the interested person's financial circumstances the entire amount may need to be paid privately. Contact local authorities for more information about costs and qualifying for financial assistance with the care home. The location of a care home can have a significant impact on whether or not it is the right fit for a specific individual. If the nursing home is far from friends and relatives, is urban when an individual would prefer rural (or vice versa) or even simply in a location that makes it hard for visitors to find it (for example, far from bus routes or major roads) then it may not be the right fit for any given family. Discussing both the location that the individual affected prefers and the requirements that visitors will need in a residential care home should help narrow down the areas that will be best. In addition to standard services such as medical care, various types of therapies and room and board, many care homes offer an extensive range of other services. Social gatherings, rehabilitative activities, entertainment and exercise options and even beauty "treatments" are on offer at some residential care homes. Though these services will usually cost extra, if they are an important part of an individual's life then it will be worthwhile to investigate them. There's always an "x factor" involved in choosing a new home and the same goes for choosing a care home. If something doesn't feel right or the individual involved feels agitated in a particular home then it is not likely the best choice for that person. If, however, an individual visits a care home and feels comfortable from the start then it might be a great fit for him or her. Choosing the right care home is a serious decision. Those who are facing it should not treat it lightly nor rush into anything. Considering a host of factors such as need, cost, location, services and comfort will help individuals and their families narrow down the best possibilities for their specific circumstances. Good luck.